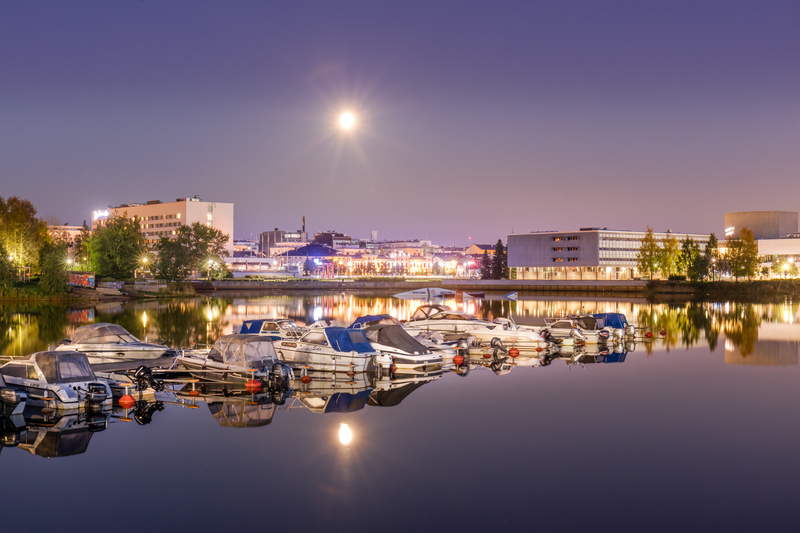 The city of Oulu in Finland – 200,000 citizens and regarded as the fastest growing urban center in Northern Europe. And why wouldn’t it be? Over 1/3 of locals have an academic degree, with 10% employed in the hi-tech sector, and recently Oulu was named one of the world’s 13 brain belt areas. Oulu region is one of the leading knowledge bases and hubs for hi-tech of globally acknowledged research, expertise, and strongly growing ICT industry with two universities, research and innovation agencies, and knowledge-based businesses. A trailblazer in wireless connectivity and business, Oulu boasts developing ICT technologies that more than 2.5 billion people utilize every day. The city is already the home city of 5G with several test networks and cutting-edge research, and currently the University of Oulu is already looking into the future and 6G Genesis. Oulu is known for its cooperative, competent people, active development, high-class services, versatile business structure and strong economy. Oulu offers an excellent setting for study, work, research and development. ‘Smart City Oulu’ rounds up the innovation environment, ecosystem and think tanks of the city, which create world-changing innovations, especially in the fields of ICT and Life Science. The new district of the city – Hiukkavaara – is a test facility for making a smart city. The area that used to be a garrison is now a place for innovation. But it is also a place where sustainable solutions are tested. Hiukkavaara is a test environment – Living Lab – for urban planning and construction where enterprises can test their products. The result of all this is an energizing Hiukkavaara center town plan that refers to the sustainable development values that are a result of the Hiukkavaara plan frame and Hiukkavaara center's town plan process and that will have ecological, social, cultural and economic effects. Altogether 29 different sustainable values have been identified. Creating new collaboration opportunities, Oulu is leading one of the best innovation ecosystem in the world. The city acts as an active enabler, facilitator and coordinator of innovative partnerships and opening the urban development for experiments in public. Thanks to the highly educated and skilled people, the City of Oulu is acknowledged as a hub for the world-class research, expertise and ICT industry. In particular, focus is devoted to speed up digitalization of the city activities as well as promoting innovative procurement models encouraging companies to co-innovate solutions responding to prevailing societal challenges. By 2026, the City of Oulu is committed to become one of the forerunner cities in the world through integrated efforts in collaboration and co-creation with innovative partners in the local ecosystem, other cities and the innovative people. Citizens in Oulu will have a fully digitalized and automated city supporting citizens in their needs in health and wellbeing, education, culture, housing, construction and business 24/7. panOULU: An open wireless network, panOULU, is available in the city center, libraries, city offices, schools and University premises. All Oulu residents and visitors can use the panOULU network free of charge. All you need is a terminal with a WLAN access point. Oulu10: Oulu10 offers a variety of services to all those visiting and living in Oulu. Oulu10 is a public service point, where real experts on Oulu – both people and other sources of information – are found under one roof. You can easily find help and advice on a wide range of matters related to Oulu and services offered by the city such as general information about social and health care and well-being services, or about personal annual limits in social and health care payments. Open Data: City of Oulu has started to open public data sets for public use free of charge. Publishing data aims to increase the amount of public data and it is used as widely as possible for citizens, businesses, organizations, education, and research purposes. Datasets are available in machine-readable form, either as files or interfaces. The materials will be published in phases according to where data sets are technically ready to be opened.